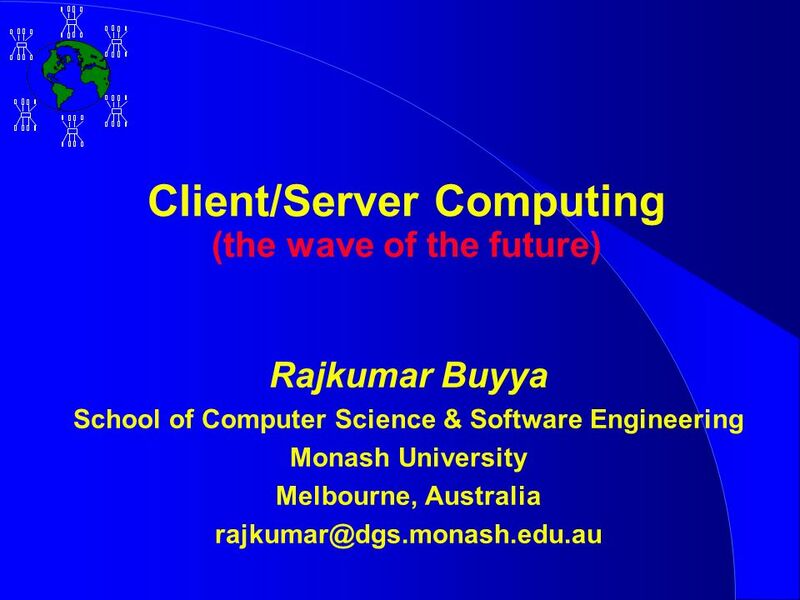 Client/Server Computing (the wave of the future) Rajkumar Buyya School of Computer Science & Software Engineering Monash University Melbourne, Australia. 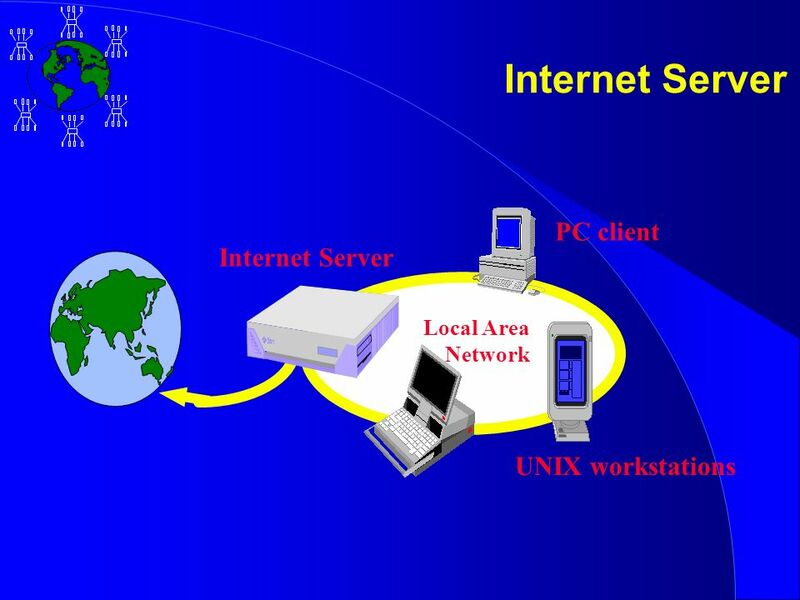 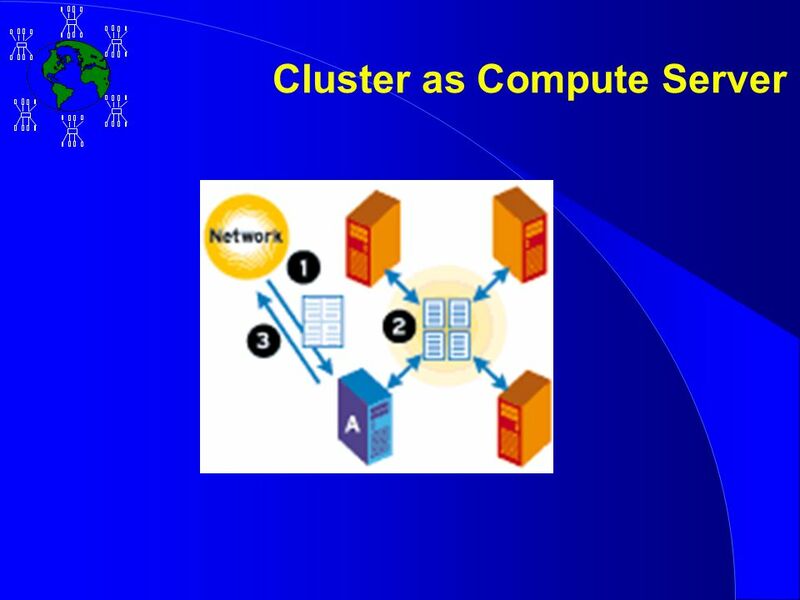 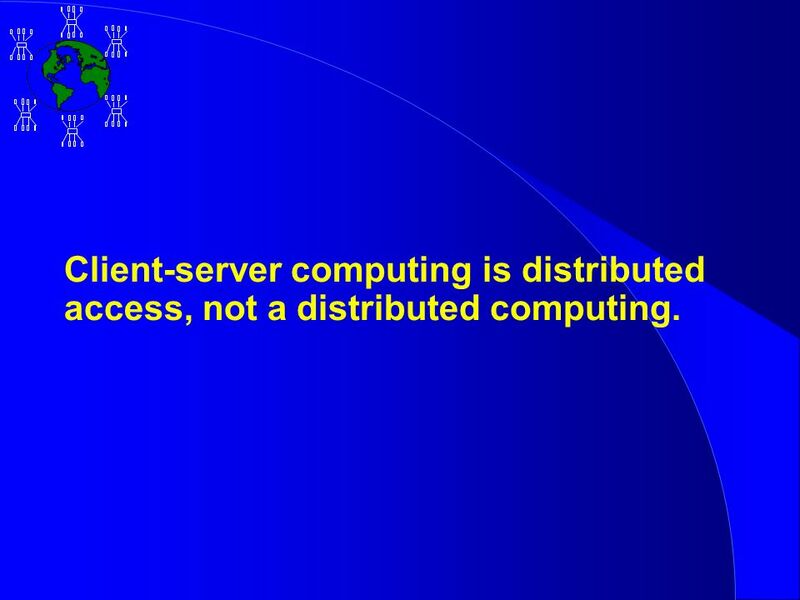 11 Client-server computing is distributed access, not a distributed computing. 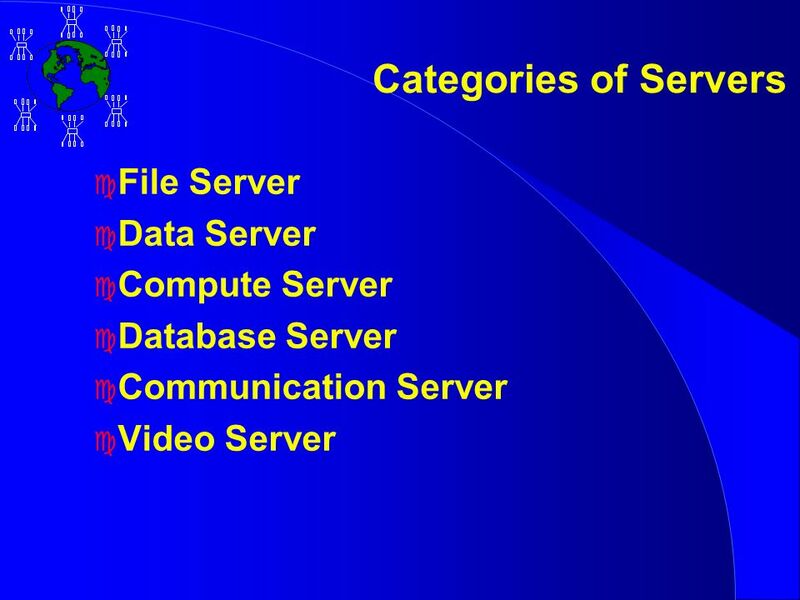 16 File Server c File Servers manage a work groups application and data files, so that they may be shared by the group. 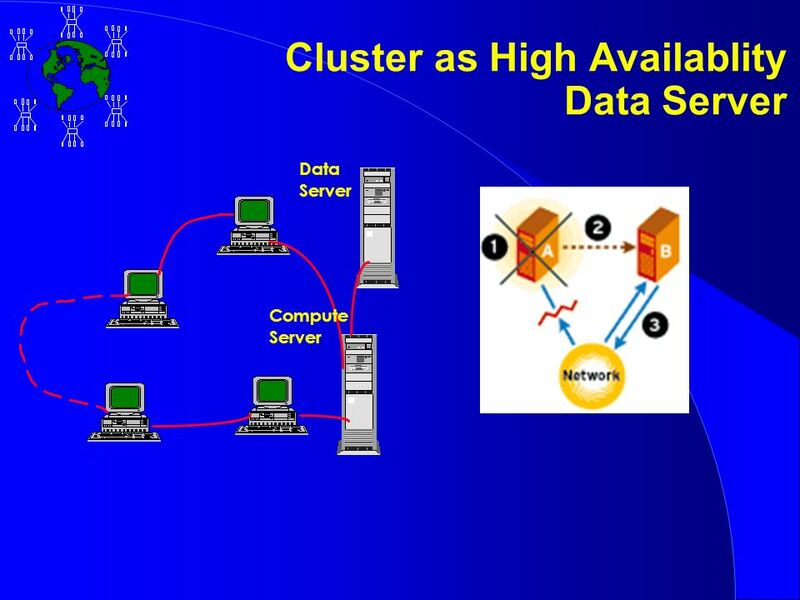 c Very I/O oriented c Pull large amount of data off the storage subsystem and pass the data over the network c Requires many slots for network connections and a large-capacity, fast hard disk subsystem. 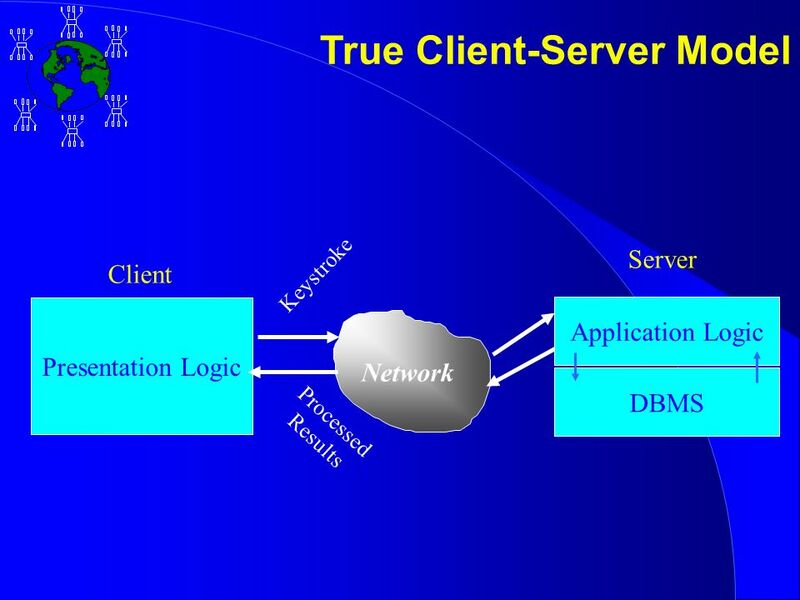 21 Database Server c Most typical use of technology in client-server c Accepts requests for data, retrieves the data from its database(or requests data from another node)and passes the results back. 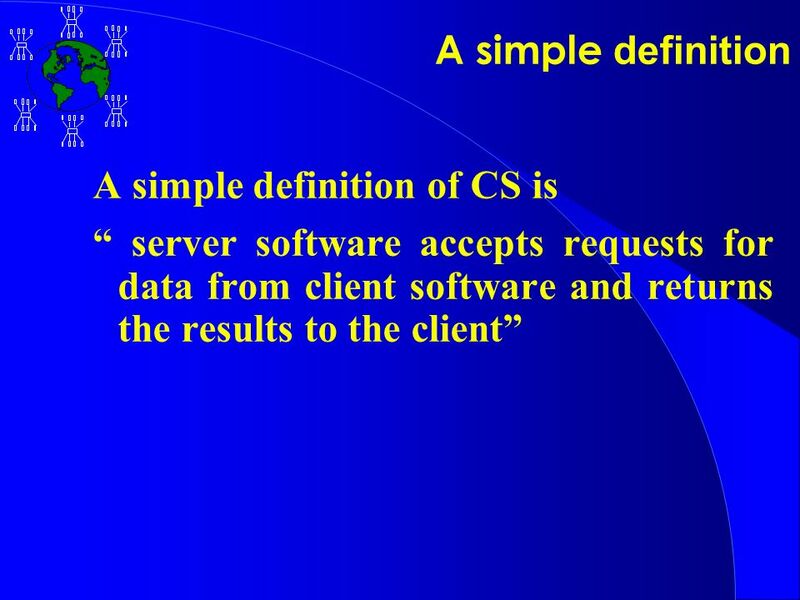 c Compute server with data server provides the same functionality. 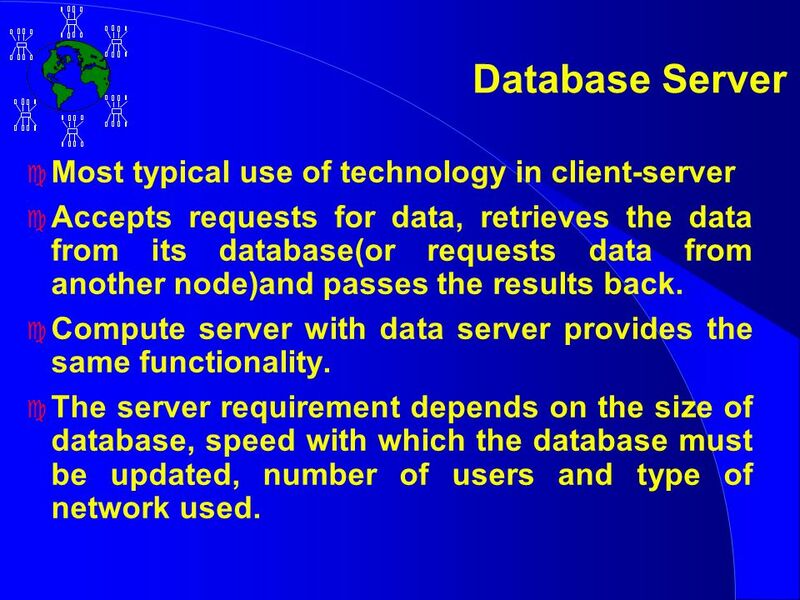 c The server requirement depends on the size of database, speed with which the database must be updated, number of users and type of network used. 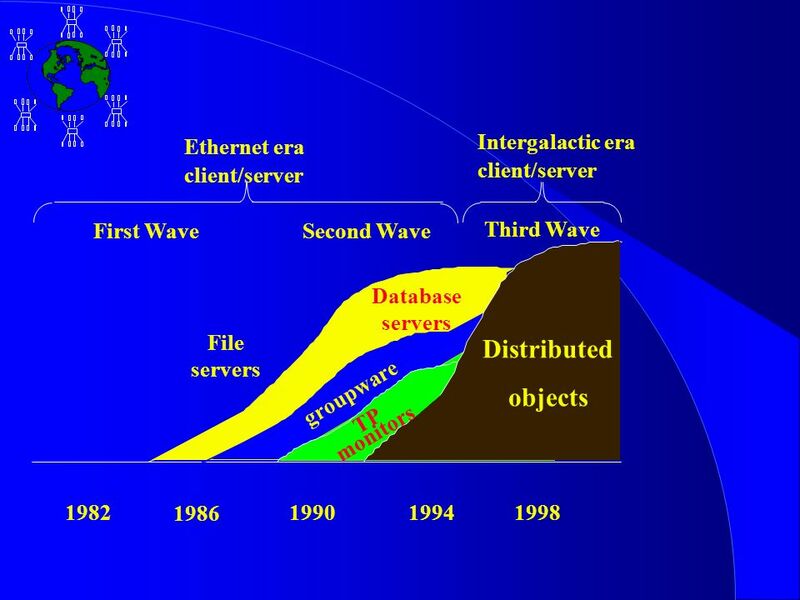 Download ppt "Client/Server Computing (the wave of the future) Rajkumar Buyya School of Computer Science & Software Engineering Monash University Melbourne, Australia." 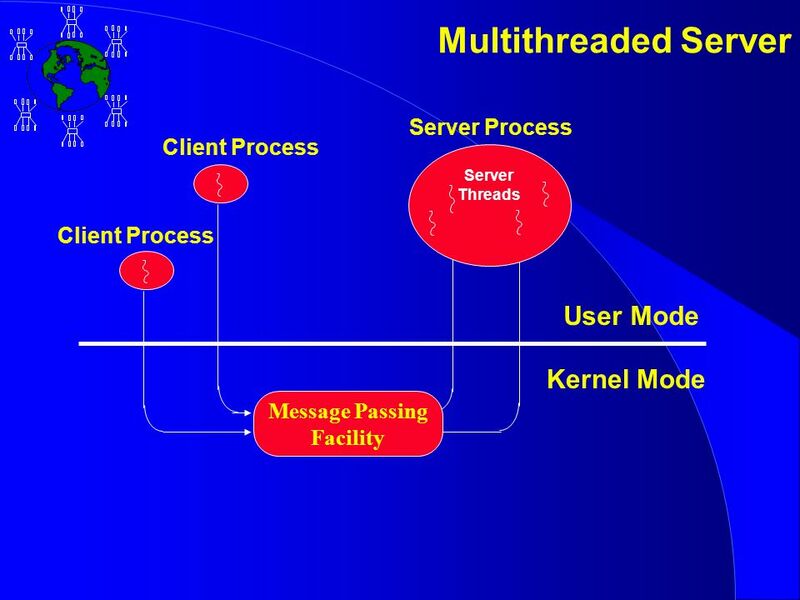 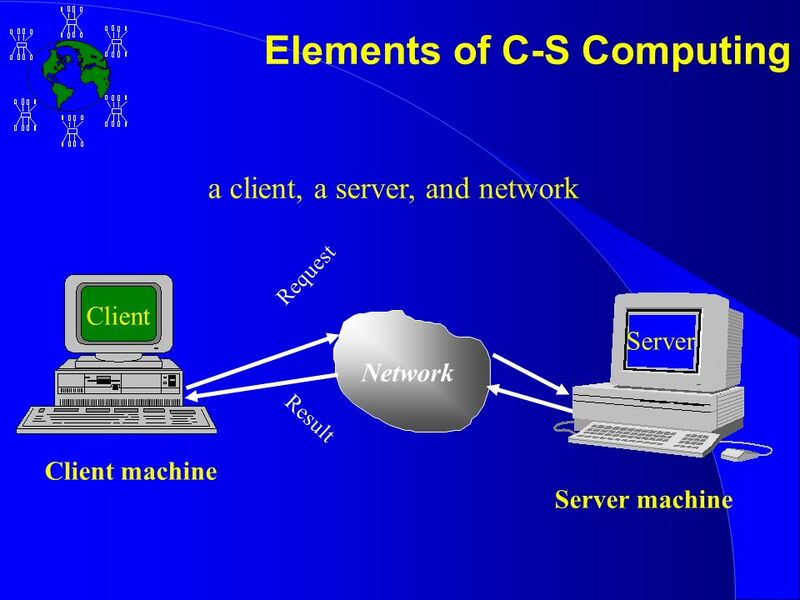 Chapter 7 LAN Operating Systems LAN Software Software Compatibility Network Operating System (NOP) Architecture NOP Functions NOP Trends. 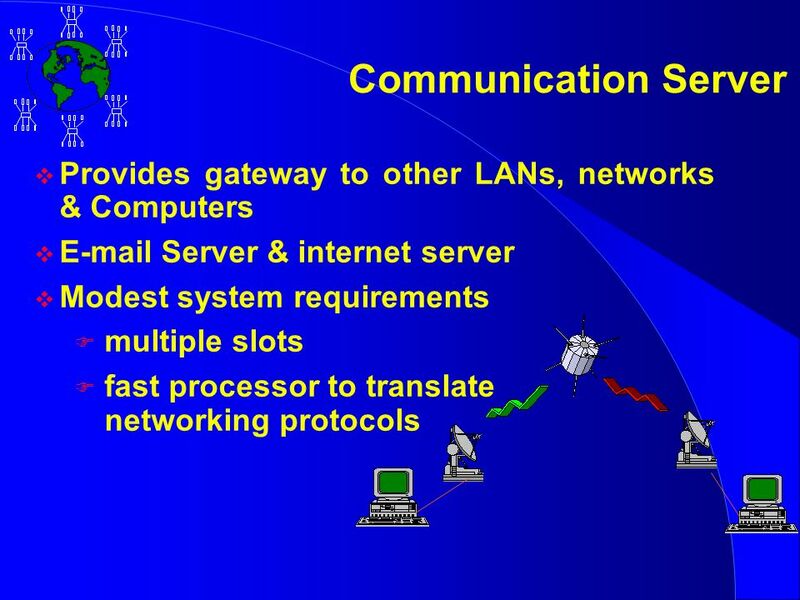 Fast Communication Firefly RPC Lightweight RPC  CS 614  Tuesday March 13, 2001  Jeff Hoy. 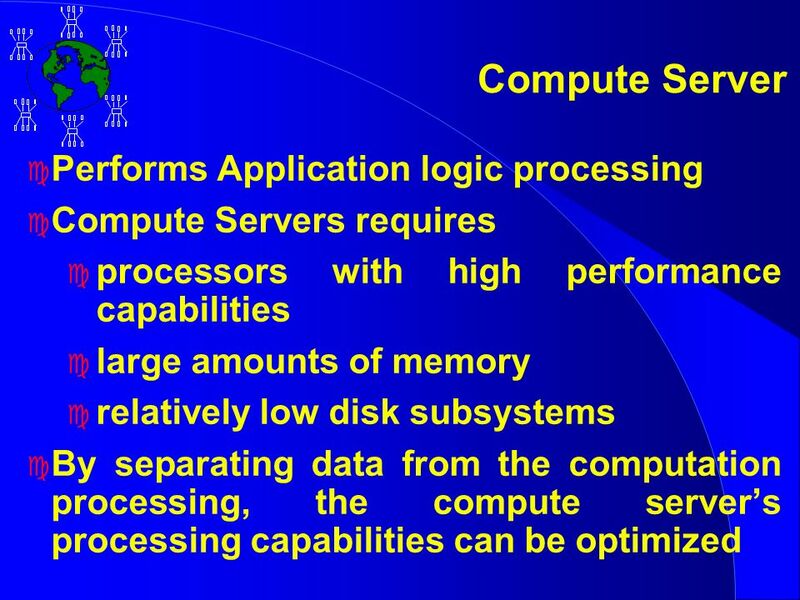 PZ13B Programming Language design and Implementation -4th Edition Copyright©Prentice Hall, PZ13B - Client server computing Programming Language. 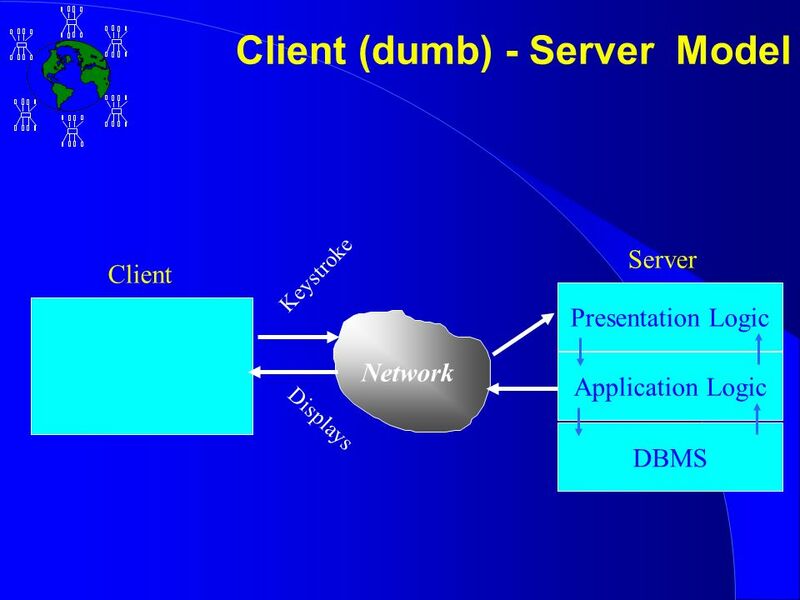 Ameoba Designed by: Prof Andrew S. Tanenbaum at Vrija University since 1981. 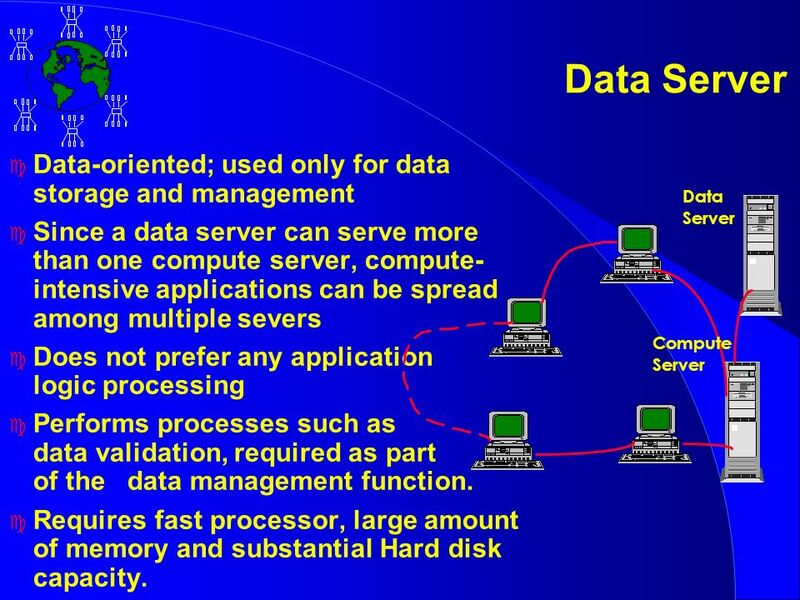 Amoeba Distributed Operating System James Schultz CPSC 550 Spring 2007. 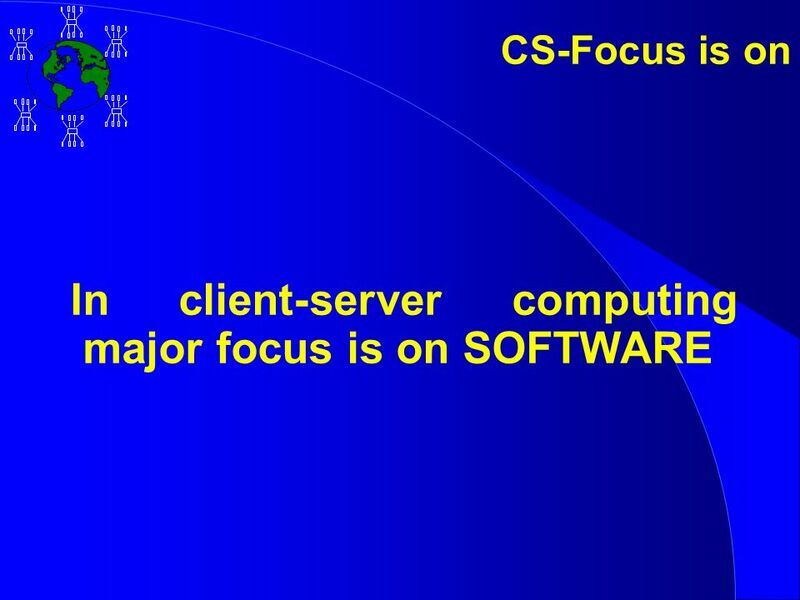 CS490T Advanced Tablet Platform Applications Network Programming Evolution. 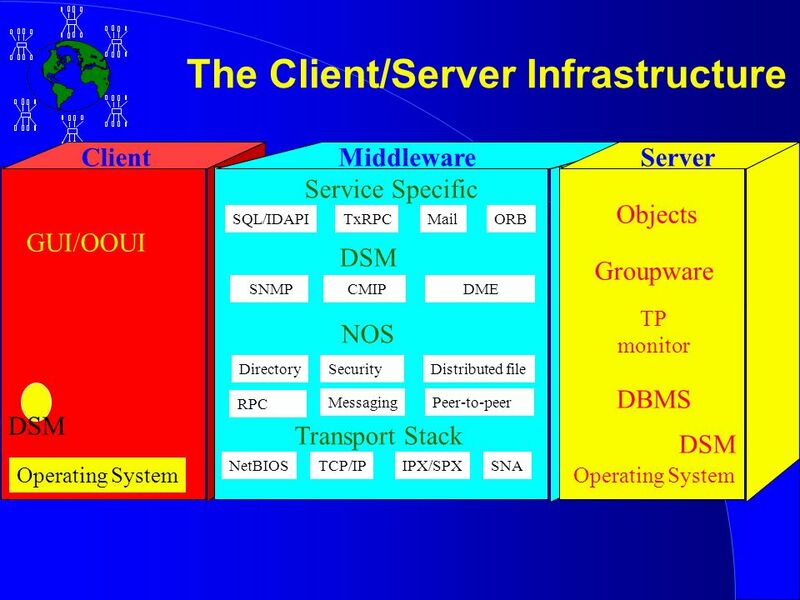 Middleware Technologies compiled by: Thomas M. Cosley. 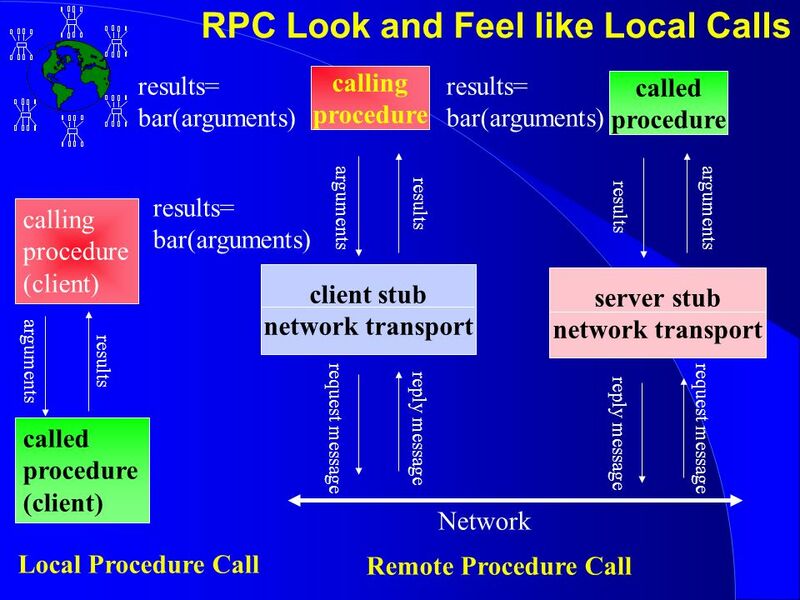 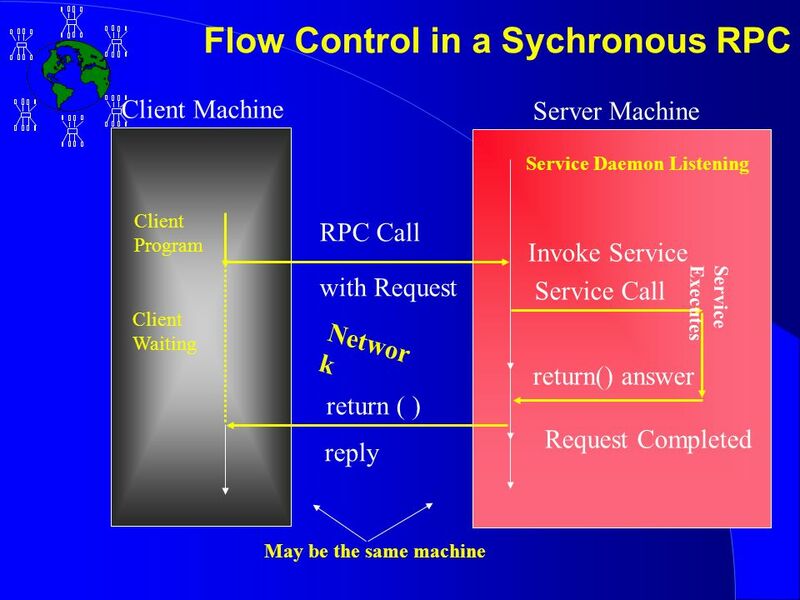 RPC Project Using either sockets or TLI, implement Remote Procedure Calls between two distinct machines that are communicating over an Ethernet network. 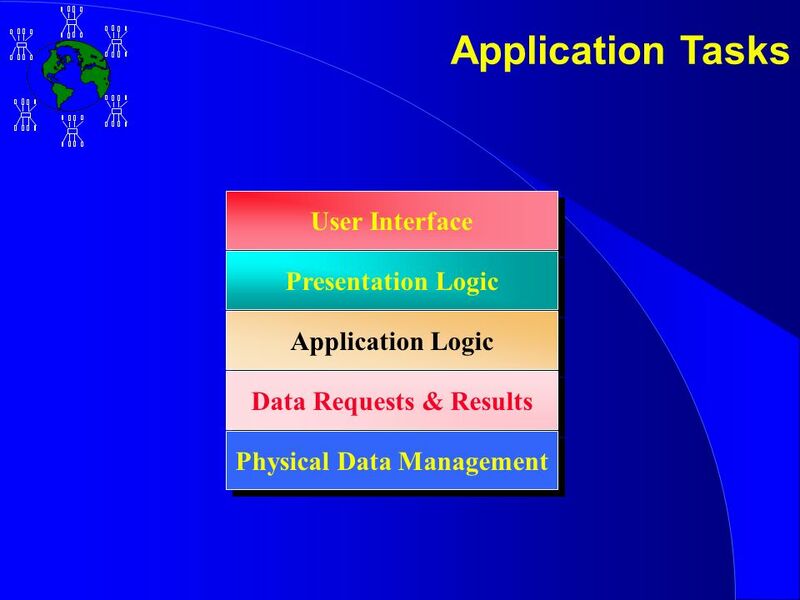 Integration case study Week 8 – Lecture 1. 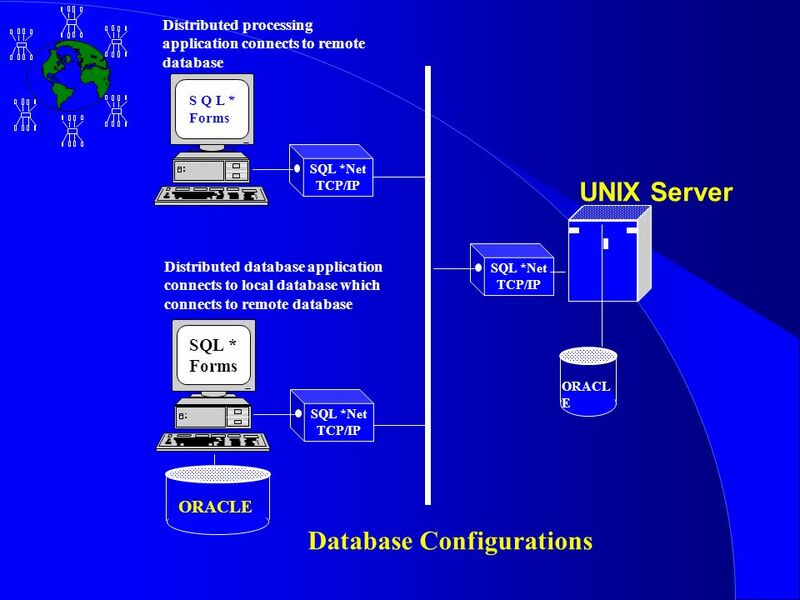 Enrolment request (Workstation) Application server Database server Database New University Student Record System. 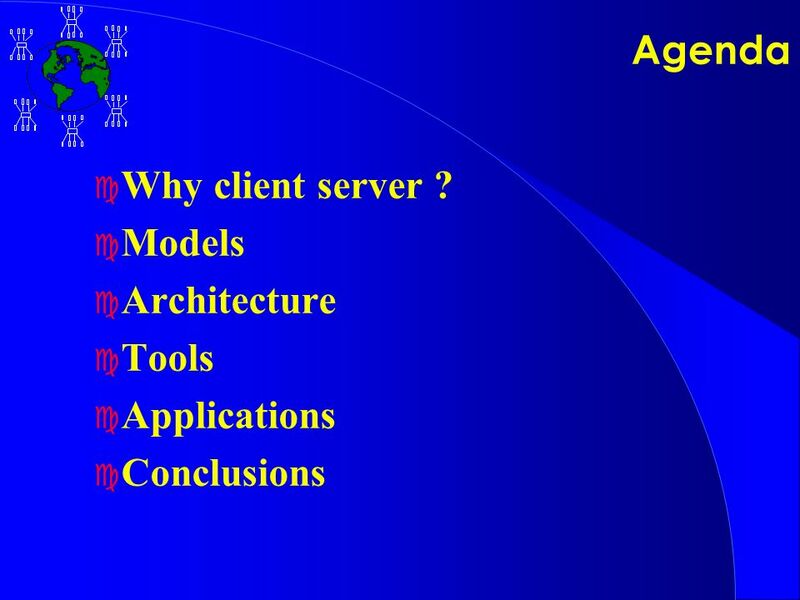 E-commerce Architecture Ayşe Başar Bener. 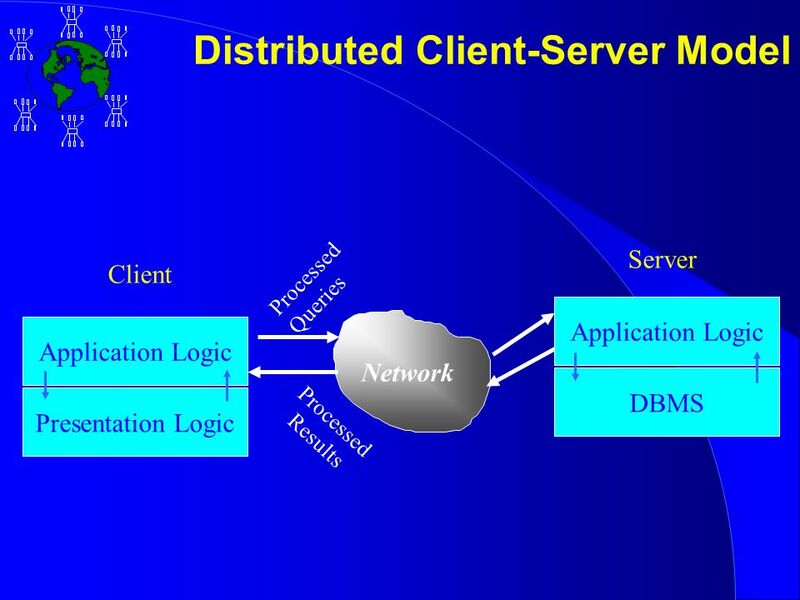 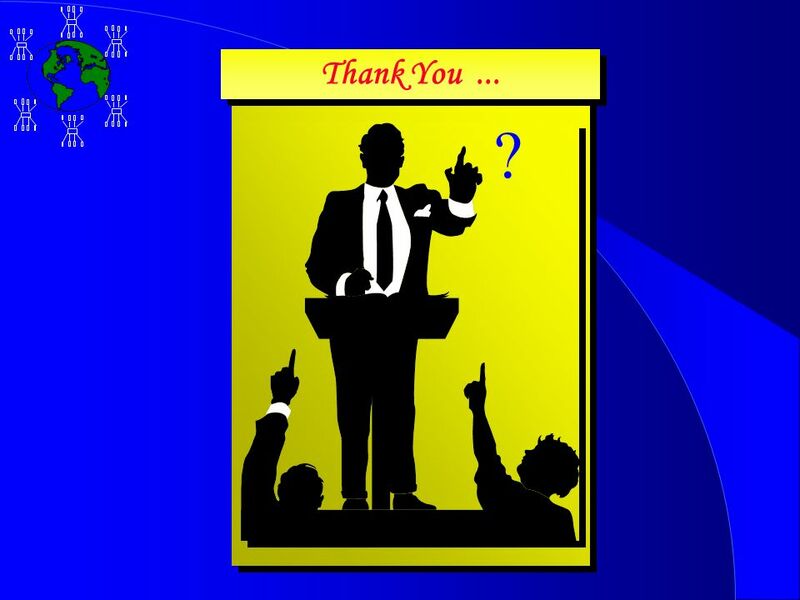 Client Server Architecture E-commerce is based on client/ server architecture –Client processes requesting service.